So you think you know Red Dwarf? Well, here's your chance to prove it. The rules are simple - answer	each question, hand your answers to Holly for marking, memory drugs are banned, and please don't answer "I am a fish" to everything! Description: The Smegging Difficult Screenshot Quiz returns! Description: It's the series that gave us the Dwarfers as mechs, the return of some old friends, and Lister jamming with Hitler. But how well do you remember the finer details of Red Dwarf XII? Description: Do you know your Harmony from your Snacky? Test your RDXI knowledge! Description: How well do you know your Red Dwarf dialogue? 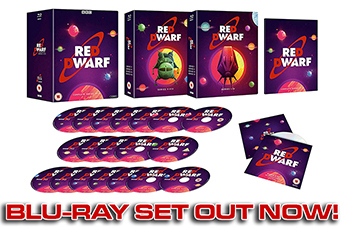 Description: How well do you know Red Dwarf by visuals alone? Description: Test your knowledge on every year of Red Dwarf's first quarter-century! Description: How well do you know your Red Dwarf alumni? Description: How much attention were you paying to the latest series on Dave? Description: How well do you know Lister's dream woman? Description: You'd better know your stuff! 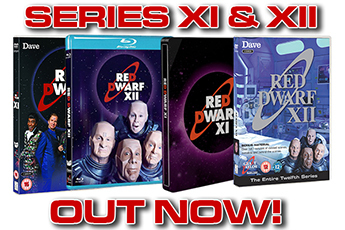 Description: 2009 has arrived - but how much do you know about Red Dwarf's complex dating? Description: Spook yourself silly with 20 questions about Red Dwarf's ickiest horrors. Description: Time to test your mettle on the Better Than Life audiobook. Description: Just how much have you learnt from the Infinity audiobook? Description: Testing your knowledge of 20 years of Red Dwarf. Description: Part one of our quiz - featuring unseen Geek material! Description: Unseen Geek quiz material - part two! Description: Test your knowledge of the loves and losses of Red Dwarf in our online quiz. Description: Just how well do you know Red Dwarf's last human? Description: Harder than the astro-navigation exam. Become an expert in Rimmerology with our online quiz. Description: How well do you know the universe's best-dressed feline? Description: Test your metal! How well do you really know Red Dwarf's cleanest mechanoid? Description: Test your knowledge on Red Dwarf's second series - and no cheating! Description: Do you know your polymorphs from your mechanoids, your timeslides from your time holes? Prove it! 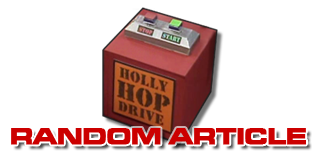 Description: So you think you know your Red Dwarf IV trivia do you? It's time to put it to the test! Description: Test your recently-acquired series expertise with our brand new quiz. Description: Seriously - how much can one person possibly know about Space Corps directives? Description: Test your Dwarfian mettle with five rounds of taxing questions. Description: How much do you know about Red Dwarf's final series?